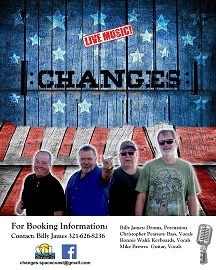 "CHANGES" has a new line-up! have a sound that is appealing to their patrons. Come out and see the BUZZ!